If you’ve got a cat, you may well have heard of the craze currently sweeping the nation. It’s cat furniture. Yes, you heard correctly – cat furniture. Our feline friends are being pampered to the max by their owners, getting their own beds, chairs and cosy spaces. 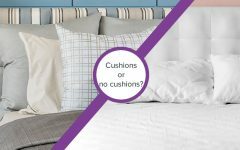 I’ve put together some of my favourites – and my reasons why I think we should all love cat furniture. 1. It gives us an opportunity to treat our cats like babies. 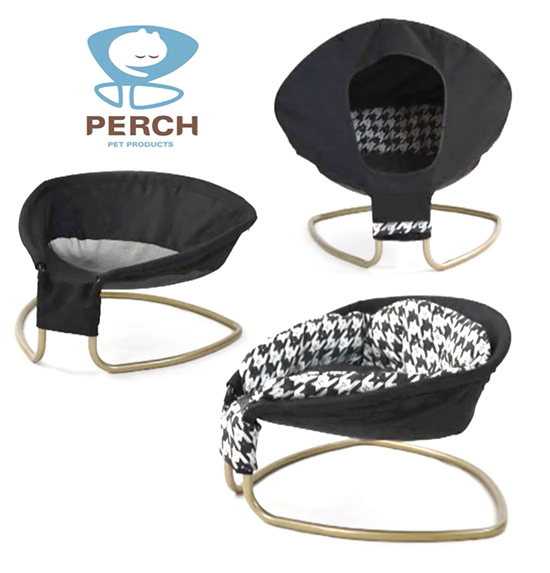 This Perch Pet Nest was designed by a husband-and-wife duo that worked making children’s products for years. Now they’ve used that knowledge to make the perfect bouncer for our furry babies. 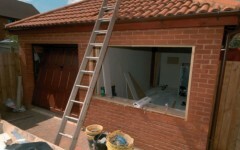 With a little cubby-hole for cats to hide in, it’s an ideal spot for them to have a snooze. 2. You can make them part of an art installation. 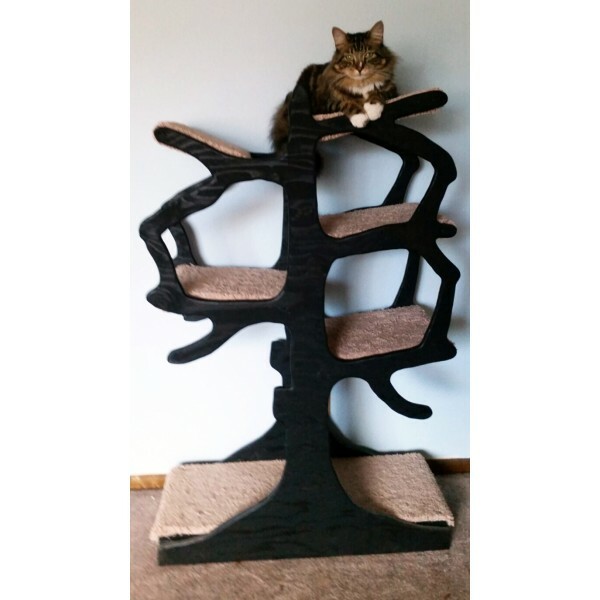 This Whimsical Artisan Cat Tree from CatsPlay allows your cats to get comfy and become part of modern art in your home. 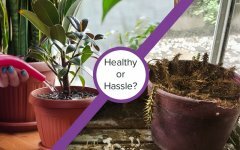 Choose from different size trees with either 7 or 9 platforms, so you’ll have the room for plenty more cats to keep you company. 3. 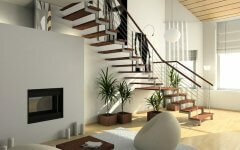 Forget floating shelves – get floating post steps. 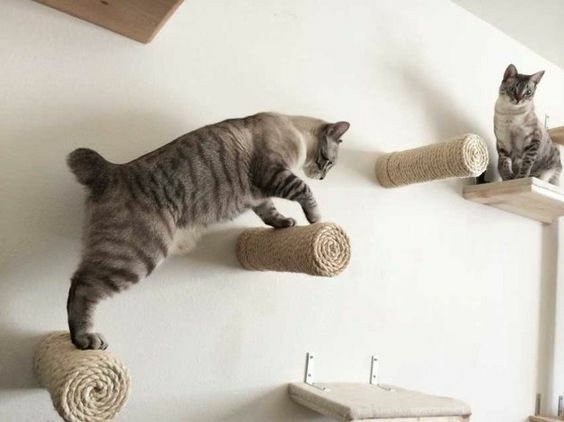 Not only do these posts look stylish, but they offer the perfect way for your pampered house cats to stretch their legs and explore without having to go outside. 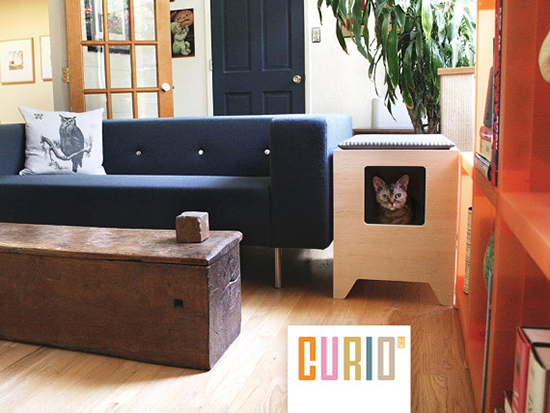 This cat litter box and hideaway from CURIO is perfect for those that don’t like the sight of a normal litter tray. It looks just like an end table, except with your fluffy pal inside. What more could you want from a piece of furniture? 5. 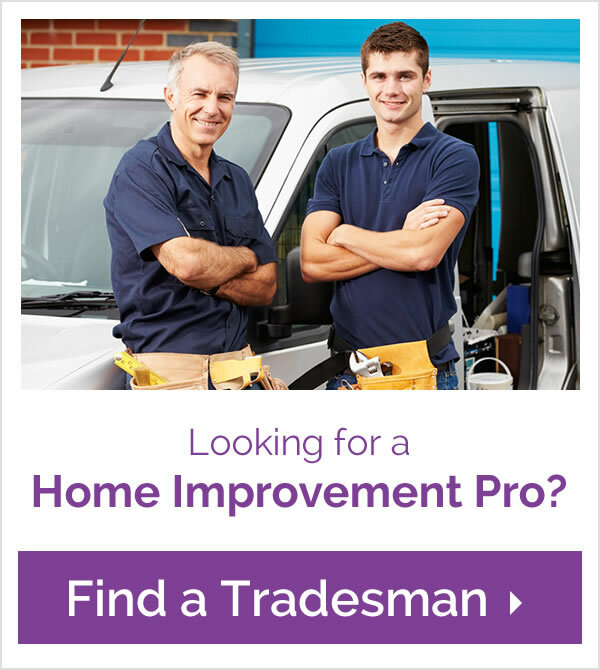 …And you can help them sleep at night. 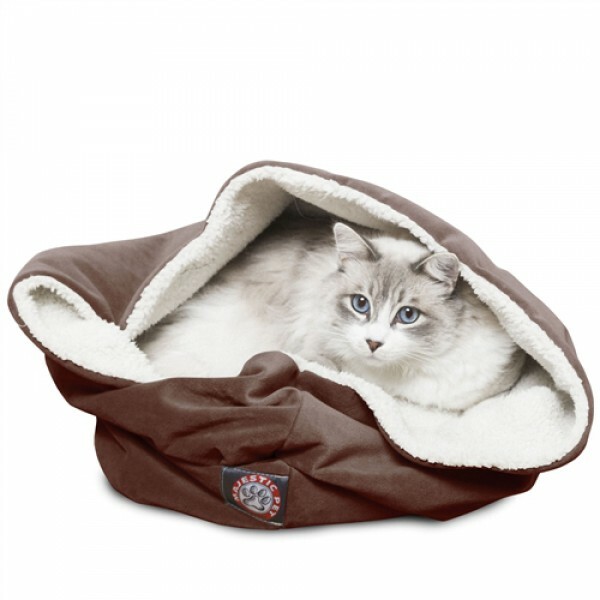 Get your cat comfy with this micro-velvet cat burrow bed from CatsPlay. With a cosy hood for your companion to nestle into, gone are the days when you’ll wake up with them sleeping on your face. Cat furniture is my new favourite thing. Now when you’re looking to upgrade your home’s decor you can make sure your cat is included in the decision making.